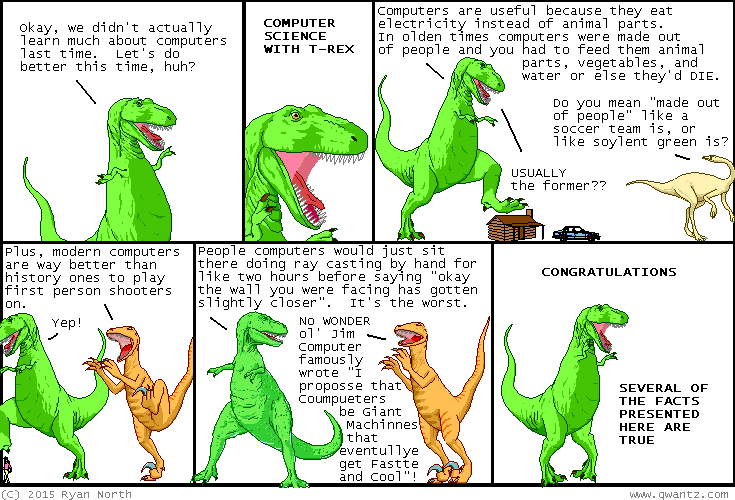 Dinosaur Comics - September 28th, 2015 - awesome fun times! –Anyway whatever, here they are! September 28th, 2015: I hope we all CONTINUED to learn a lot today!! One year ago today: hot air balloons made out of the fabric - with baskets made from the same material - allowed one to float in the sky with an unimpeded 360-degree view of the world around them, and was reported to be an almost religious experience.